Kamal Nath had recently told reporters that he had requested Singh to contest from one of the toughest seats if the latter wants to enter the poll ring. 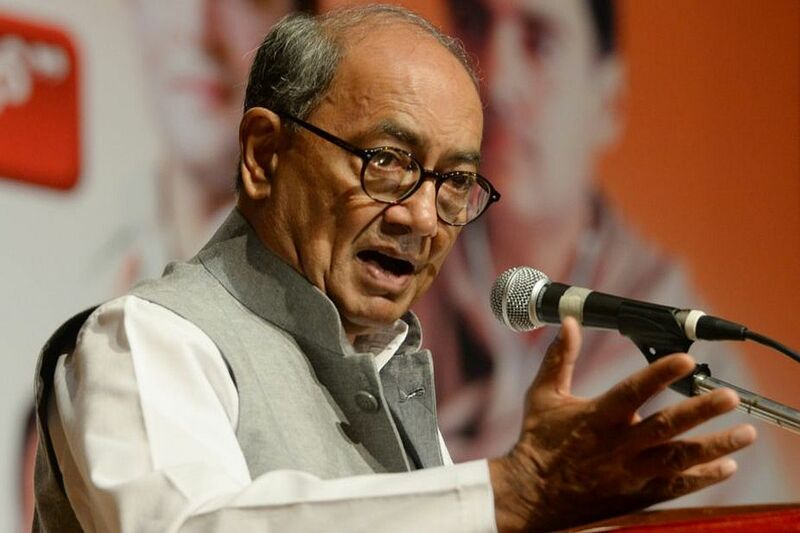 Days after Madhya Pradesh Chief Minister Kamal Nath’s challenge to choose a tough seat to enter the Lok Sabha election fray, Congress veteran Digvijaya Singh was on Saturday declared the party candidate from the Bhopal seat in Madhya Pradesh. Bhopal, a traditional stronghold of the Bhartiya Janata Party, is currently held by Alok Sanjhar. Earlier speculations were rife that Singh might be fielded from either Bhopal or Indore Lok Sabha constituency. Lok Sabha Speaker Sumitra Mahajan holds Indore. Kamal Nath had recently told reporters that he had requested Digvijaya Singh to contest from one of the toughest seats if the latter wants to enter the poll ring. “There are 2-3 seats in the state from where we have not won for the last 25-30 years,” Nath had said in an apparent reference to Indore and Bhopal seats. Responding to Nath’s request, Singh on Monday said that accepting challenges was his habit and that he was ready to contest from wherever party chief Rahul Gandhi wants him to. “With the blessings of people of Raghogarh (erstwhile princely state), I have won in 1977 (assembly polls) also during the Janata Party wave. Accepting challenges is my habit. From any place my leader, Rahul Gandhi will ask me, I am ready to contest Lok Sabha polls. Narmade Har,” Singh tweeted. “Thank you Kamal Nath ji for inviting me to contest from weak seats of Congress. He considered me capable for this and I am thankful to him,” he said in another tweet. The Congress had last won Bhopal constituency in 1984, after the assassination of the then Prime Minister Indira Gandhi. The seat was represented by Congress’ KN Pradhan. Similarly, the Congress last won Indore in 1984, when Prakash Chandra Sethi defeated his opponents. Polls for total 29 Lok Sabha seats in Madhya Pradesh will be held in four phases during April 29–May 19 period. Madhya Pradesh Congress said it was incumbent upon senior leaders to contest from tough seats since the party wanted to win the maximum number of seats in upcoming elections. In 2014 Parliamentary elections, the BJP won 27 seats in Madhya Pradesh while the Congress’ tally was just two. Normally, Singh and his family members have contested Lok Sabha elections from their traditional Rajgarh seat. Singh had represented Rajgarh in 1984 and 1991. His brother Laxman Singh had represented the seat in 1994 (bypoll), 1996, 1998, and 1999 from Congress, and in 2004 from BJP. In 2009, Digvijaya Singh loyalist Narayan Singh Amlabe won from Rajgarh. Singh’s choice of seat is hotly debated in the faction-ridden Congress.